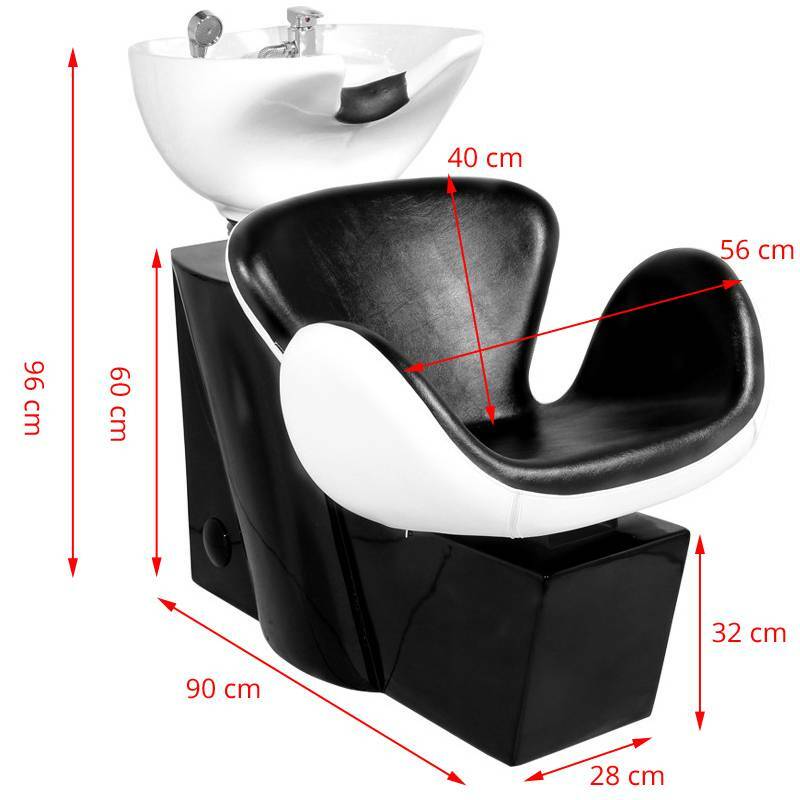 Professional hairdressing wash unit - stable, extremely comfortable, solidly constructed. 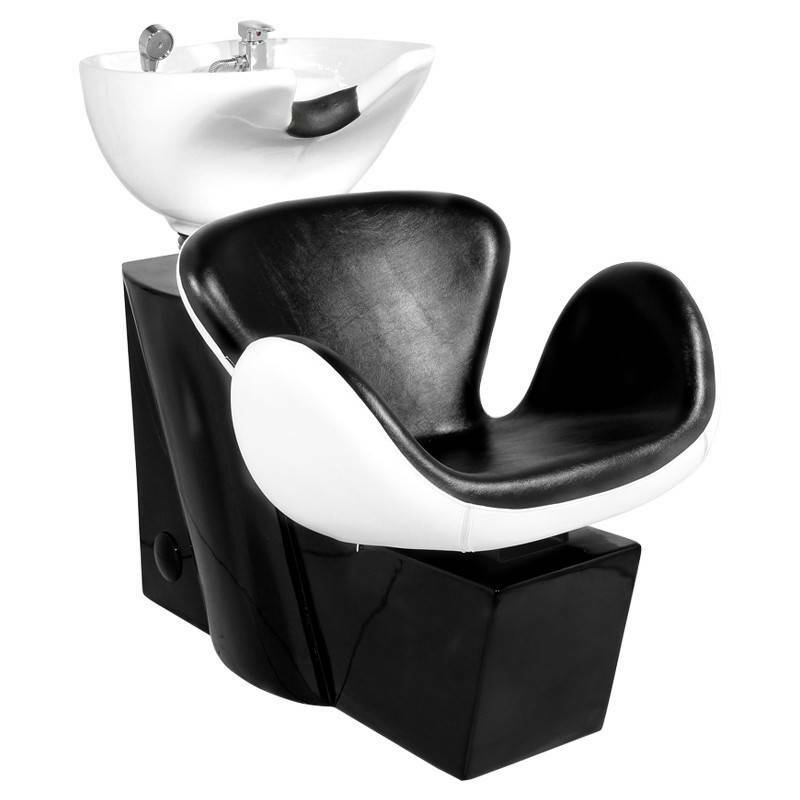 Modern design makes it a beautiful complement to the modern equipment of a hairdressing salon. Seat with aerodynamic shape, made of high-quality, easy-care PU leather. Silicone padstabilizes the head of the customer and allows it to be a comfortable fit on the washer. Washers bowl is white, with the possibility ofadjustment of its inclination.